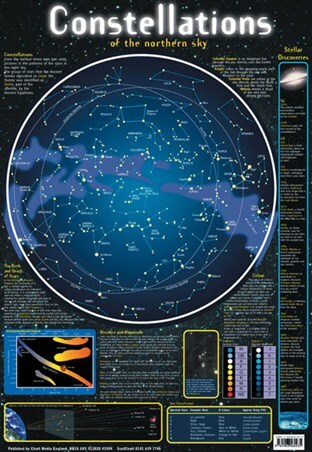 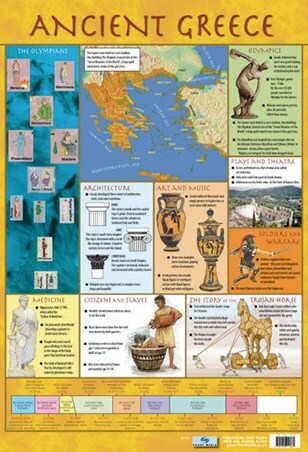 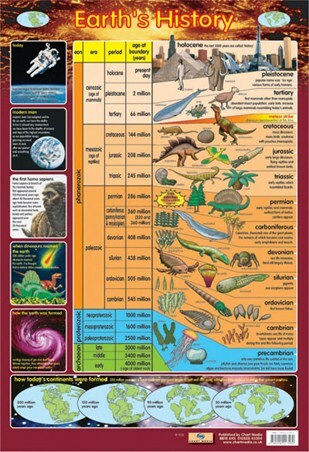 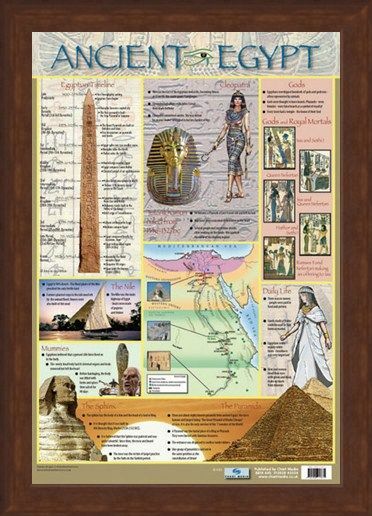 Children's Educational Mini Poster: This glossy mini poster is a must have for anyone interested in the ways of life in Ancient Egypt, it contains all you need to know about the guardians of the ancient temples called The Sphinx, the last remaining Seventh Wonder of the World, The Great Pyramid of Khufu and the Kings and Queens that ruled the desert lands from 3100bc until 395ad. 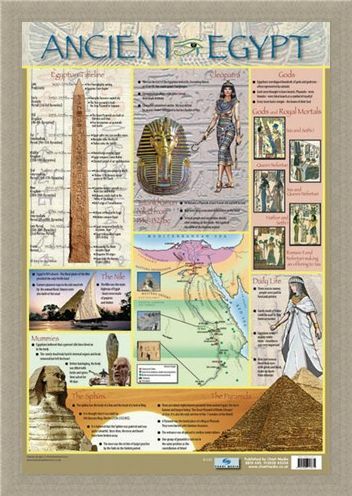 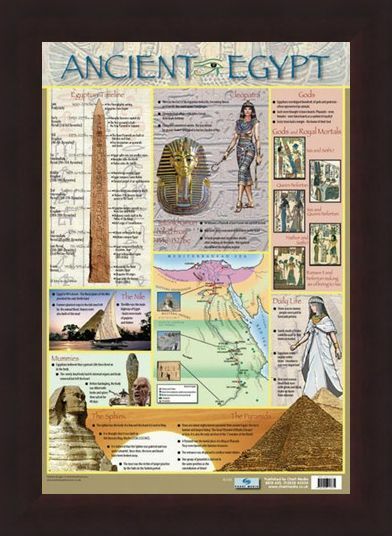 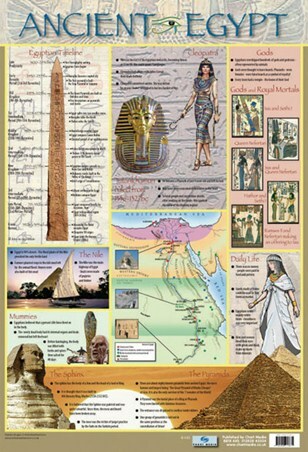 This poster is packed full of detailed illustrations and facts covering daily life, The Nile, the Gods and the mummification process making it a must have item for any budding Tutankhamens and Cleopatras out there. 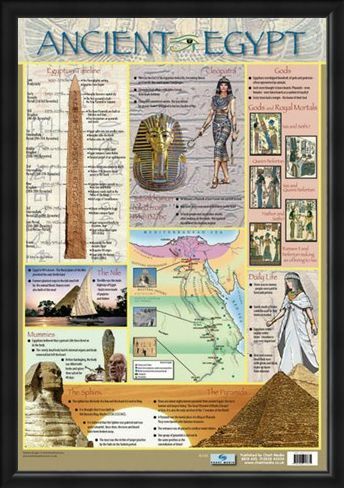 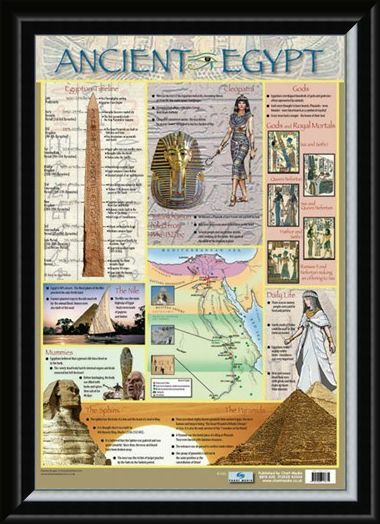 High quality, framed Ancient Egypt, Educational Children's Timeline and Map mini poster with a bespoke frame by our custom framing service.